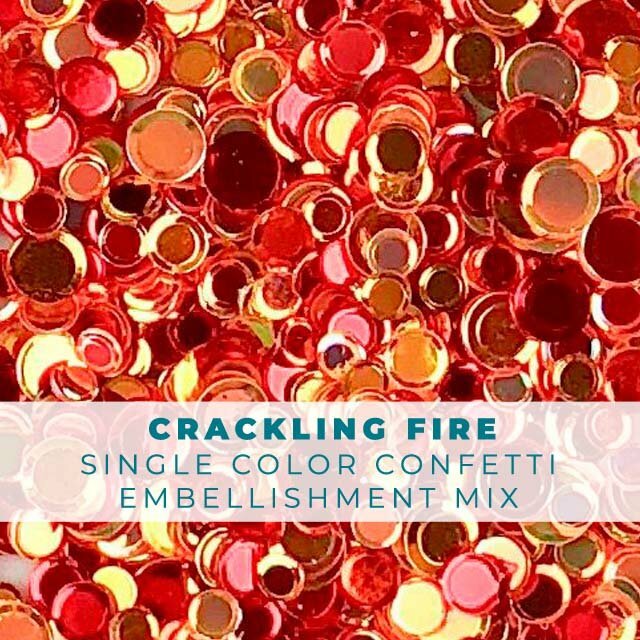 This warm and toasty embellishment mix is full of fun confetti in three different sizes. 4mm, 5mm, and 6mm. 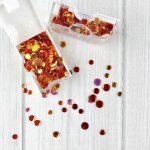 These confetti are slightly cupped and are just like sequins but without the little hole. 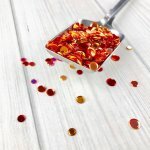 1 heaping teaspoon packaged in a zip top storage bag or Tiny Container storage box. (containers are the ones used in the Elizabeth Ward storage tray system that many crafters use for organization but can be used on it's own too).